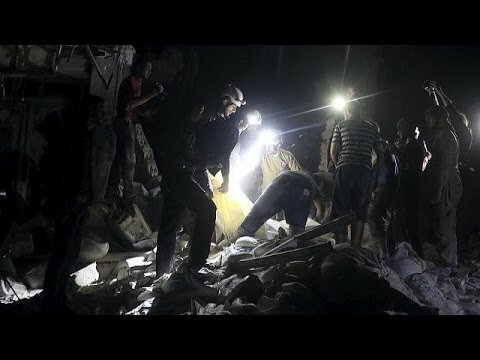 Syria’s largest city, Aleppo has seen a worrying outbreak of violence in the past week that could fatally undermine the cessation of hostilities that had held between most Free Syrian Army units and the Syrian Arab Army. The ceasefire did not extend to al-Qaeda or Daesh (ISIS, ISIL), however, and it appears to be al-Qaeda that led the renewed fighting south of the city and mortar strikes from the rebel-held east on the Government-held west. Also, the Syrian Arab Army and Shiite militias advanced into rebel-held territory north of the city and continued an effort to surround and cut off the rebel-held Western neighborhoods. The pro-regime BeirutPress reports that there have been repeated mortar and sniping attacks on the government-controlled West of the city from guerrillas in the east. These attacks have left 18 dead and 50 wounded since Tuesday. At the same time, what appear to have been Syrian government air strikes with barrel bombs repeatedly hit a hospital supported by Doctors without Borders, killing at least 50 persons, including the city’s last pediatric surgeon. The Syrian government denied the strikes, but only the Syrian air force had been using aerial barrel bombs. Russia and the US also denied dropping bombs onto a hospital. Some 60 fighters of al-Qaeda and its ally, the Freemen of Syria, were killed by the Kurdish People’s protection Units north of the city on Wednesday. Ordinarily the two might have been ranged against Daesh or the regime in a de facto battlefield alliance, but in this instance they both wanted the same territory.